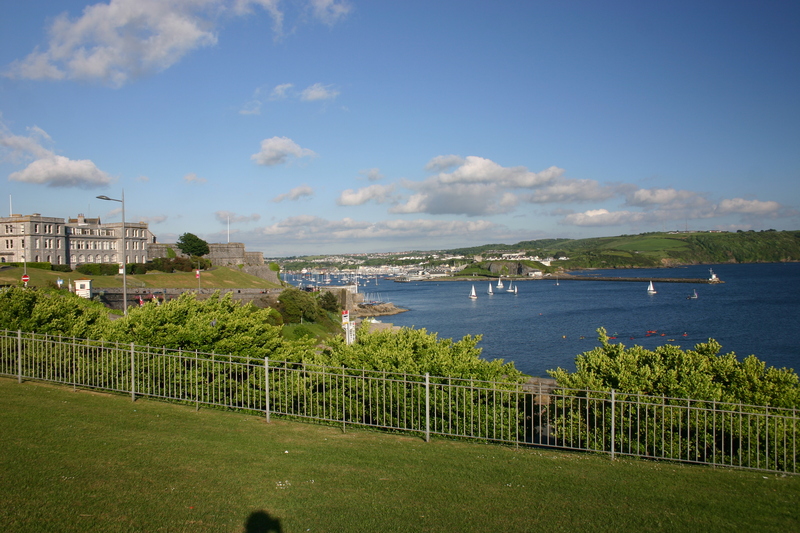 Our next stop was Plymouth, by way of Torquay, as we wanted to take the “scenic route.” The scenic route though picturesque, didn’t prove to be the best move with children, which we learned the hard way…more on this later. 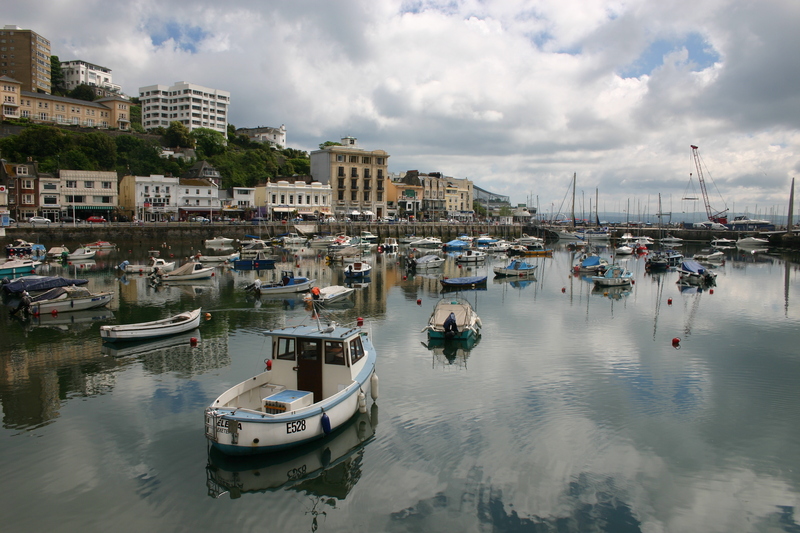 So we stopped for a very late lunch in Torquay, a pretty sea side city and found a local pub on the water. 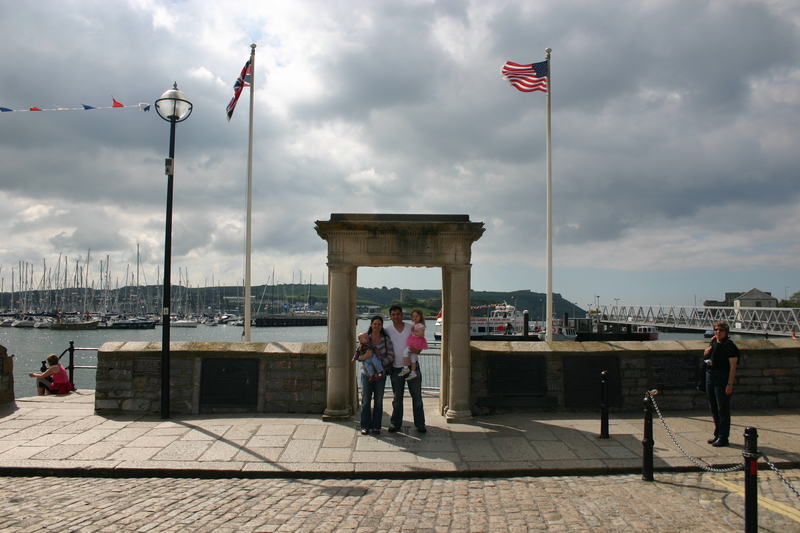 So then on to Plymouth, the launching pad for the Mayflower, 1620, and we learned it was also port for a host of other ships bound for America much earlier even, say 1500s. Kings and Queens sent fishing boats to fish the waters off the Eastern coast of America; they would leave in Spring and return in Fall. Some boats even stayed, and the settlement of Plymouth was actually established before 1620 by an earlier vessel settling there. But we honor the Mayflower as the “first” for a couple of reasons. First the pilgrims were leaving to be able to practice their religion freely. Second, they were a mixed group, meaning it wasn’t all men, it was actually a mix of women and children too. I’m remembering fourth grade social studies as I write this, but I don’t remember learning at the time that this was not the pilgrims first attempt to establish somewhere else. They actually left England to what is present day The Netherlands to practice their beliefs freely, and stayed for about 10 years. But then they decided that their children were becoming less English and more Dutch; they also complained the Dutch were a bit too liberal for them. So they wanted to find a new place to settle. Beyond this bit of American History, there is also a historic gin distillery. And I can’t end before I tell you about Plymouth Gin. It was a great little distillery tour, where learned about the history of gin. In the 17th century the Dutch drank a drink called jenever, the precursor to gin, before going into battle, and for this reason it was nicknamed “Dutch courage.” William of Orange brought it with him to England in 1688, and the Royal British Navy became fond of it. 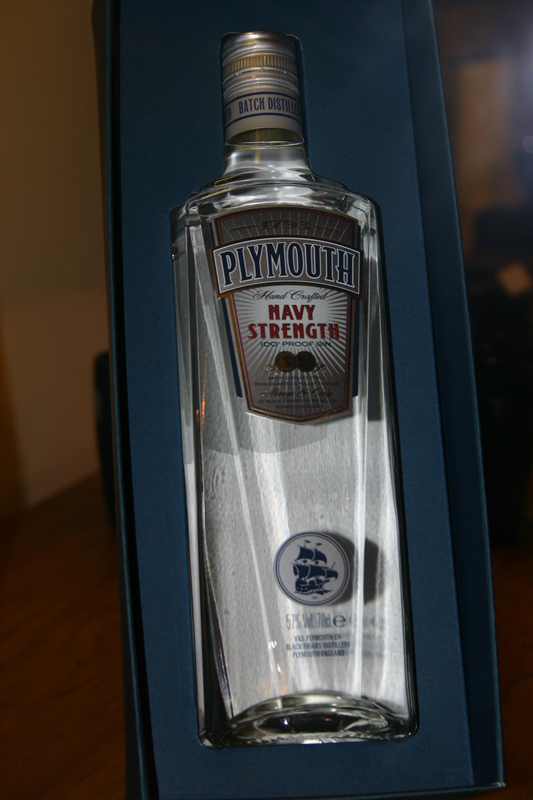 The Navy would store the gin on their vessels on the same deck as the gun powder. To test, a mix of gun powder and gin would be placed on deck and lit; if it burnt with a clear blue flame, this was “proof” that the water content in the gin was small enough not to ruin the gun powder, should it become spilled in battle. And herein lies the origin of the measurement “proof” for an alcoholic beverage. Fast forward to the 1850s, the British are in India, and needing to take a daily dose of quinine to prevent malaria. So they mixed in some gin, soda and ice, and this was the birth of the gin and tonic. Coincidentally, the pilgrims spent their last night in this building (before it was a gin distillery) before heading to America on the Mayflower in 1620. 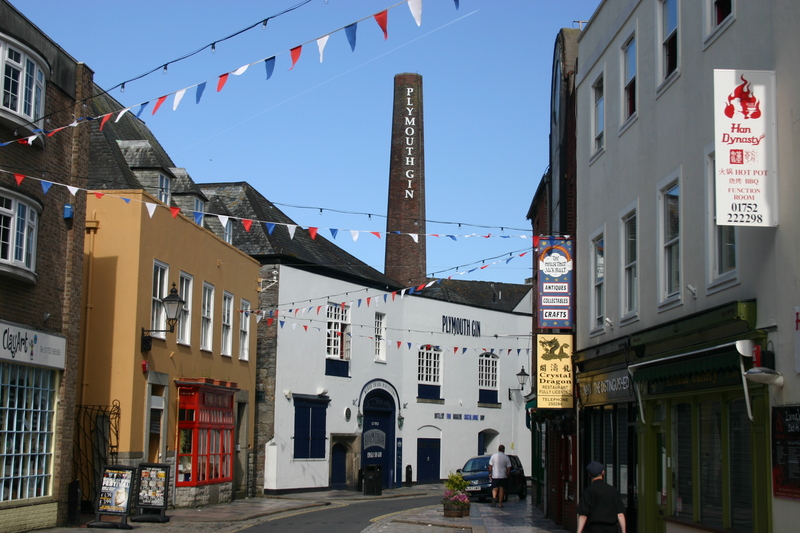 In 1793, Mr. Coats began distilling gin in the building, and today Plymouth Gin is only made in this location in Plymouth, England. Unlike other alcohols that need to age, gin can be made in approximately eight hours, so they don’t need lots of storage space. And what differs it from vodka is only adding juniper berries; without them you would have flavored vodka. 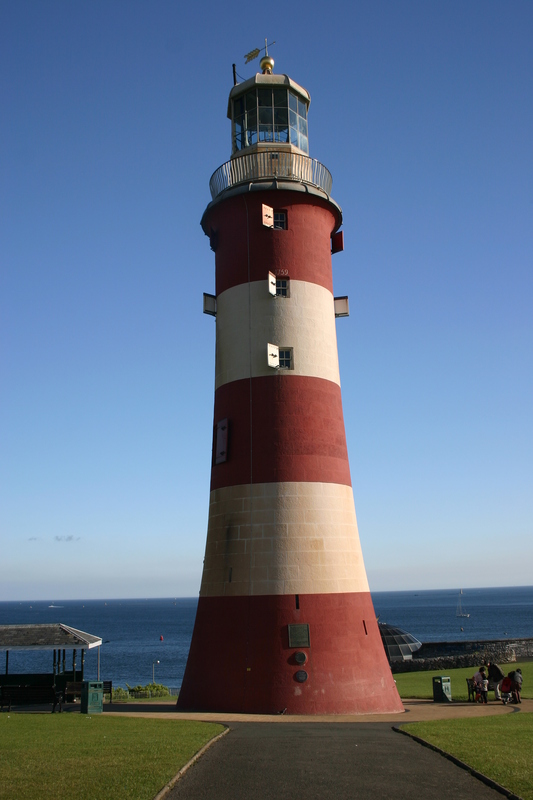 Plymouth has a beautiful seaside park, great marine museum, a large lido (public swimming pool) right on the sea, and a historic light house that sits on its beautiful harbor. I can’t do it justice by these few photos, but hopefully you get an idea. If you ever have a chance to visit, I’d highly recommend it. It was a trip for my family and I to remember fondly as we celebrate this Independence Weekend. Happy Fourth of July!